Introducing Village Sales - Village Sales is a retirement property real-estate website that is dedicated to independent retirement living and the over 50's. 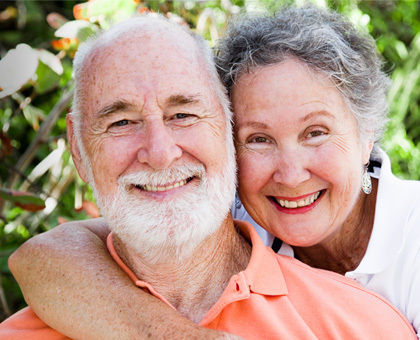 Village Sales lists retirement village properties, over 55's resort properties, and private properties that are for sale across Australia. The site also provides useful information designed to assist the over 50's in finding the right independent living property. If you or someone you know is considering making the move to a retirement village or resort, then Village Sales is the easiest way to locate suitable properties. Designed to help you find the right retirement property as easily as possible - Village Sales has been specifically designed to make searching for a suitable retirement property easier for the over 50's. Users can search for retirement village properties, over 55's resort properties, and private independent living properties based on their specific lifestyle requirements and preferred location. Some of the most popular areas for retirement living have also been set up on the Quick Search menu located on the homepage. These areas include Sydney, Melbourne, Perth, Brisbane, Adelaide, Tasmania, the Gold Coast, the Sunshine Coast, the NSW South Coast, Newcastle and the NSW North Coast. No clutter, just retirement properties for sale - Unlike many other directory style retirement websites, Village Sales is a genuine real-estate website and as such all of the property listings on the site are real. This means you do not have to search through irrelevant listings or pages to find a property, on Village Sales you only see search results based on your search selection. Where your search criteria do not return any results, you can register your preferences with Village Sales so you can be notified when properties based on your selection become available. We have a great team ready to help you with your search - Village Sales is not just a website, we have real people available to talk to who genuinely want to help you find the right property. If you are unable to find an available property that matches your search criteria, you can ask Village Sales to do the searching for you by speaking to one of our friendly team. Our team members, including the super helpful and super friendly Scotty, are there to help you with whatever you need so please feel free to use us anytime. It is all part of the service. Compare retirement properties side by side - Village Sales lets you compare properties side by side to help you further refine your search. This is really useful where you may find several properties that you are interested in. You can add properties to the compare tool by opening an individual property listing then selecting the Compare link at the top of the page. Once you have added a few properties you can then access the Compare Retirement Properties page via the link on the right-hand side of the page. Owned and operated by a local family business - Village Sales is owned and operated by an Australian family business who has been involved in the Retirement industry for over 20 years. The same family business also operate the Retirement Village Expos, which provide an opportunity for the over 50s to meet with many different retirement villages and resorts under one roof. Further information - If you are looking for more information about Retirement Living, please visit our Resources page. The page contains lots of useful information and links related to retirement living including the answers to many frequently asked questions. If you have any enquiries about Village Sales, please call us on (02) 8212 4188 or send an email to info@villagesales.com.au.